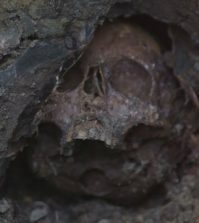 America’s first documented serial killer H.H. 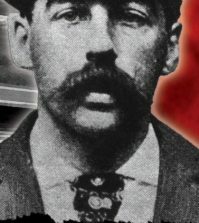 Holmes, the Devil in the White City, turned Chicago’s 1893 World’s Fair into his personal hunting ground as he lured unsuspecting victims into his deadly “murder hotel.” The disorienting labyrinth of stairways, passages, trap doors, soundproof rooms, and gas chambers was designed to kill efficiently and facilitate quick disposal of bodies in the basement’s crematorium, quicklime pits, and acid vats. Holmes claimed he ended more than 200 lives in the building, though the exact number remains unknown. 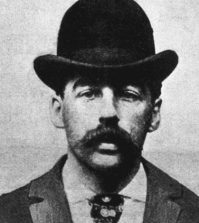 And many of Holmes’ secrets were lost when the building burned in 1895 while the killer was in prison awaiting execution. 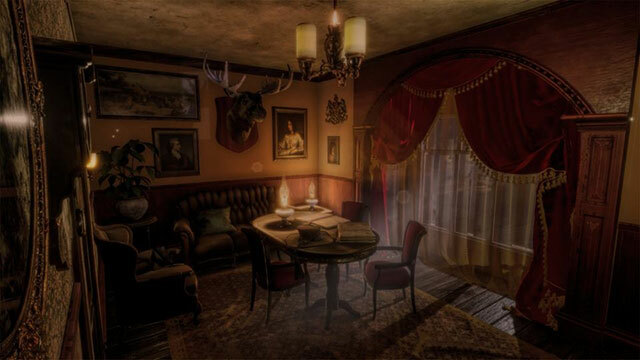 But soon, thanks to the twisted mind behind 2015’s hilariously campy creature feature Insectula!, it will be possible to step back in time into a virtual recreation of Holmes’ notorious Murder Castle. Mike is meticulously recreating the building using blueprints, drawings of floor plans from newspaper reports, and eyewitness descriptions for historical accuracy. Mike said H. H. Holmes: The True History of the White City Devil by Adam Selzer was instrumental in sorting fact from myth. But there are no photos of the building’s interior, so many of the details are unknowable. For Holmes, it was all about appearances. 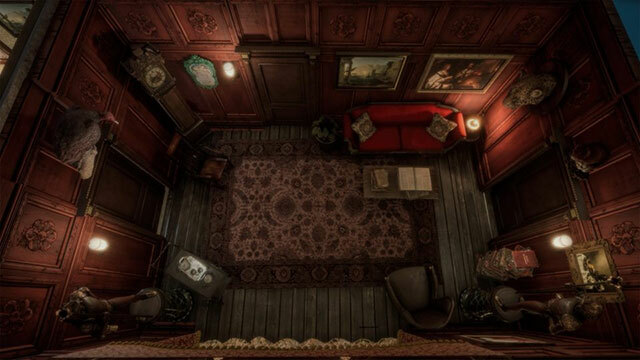 While Holmes’ vaults and stoves (big enough to hold people) will be in the game because they were described by witnesses during the trial, Peterson said myths such as a stretching rack for torture will not be included. The Horror of H.H. 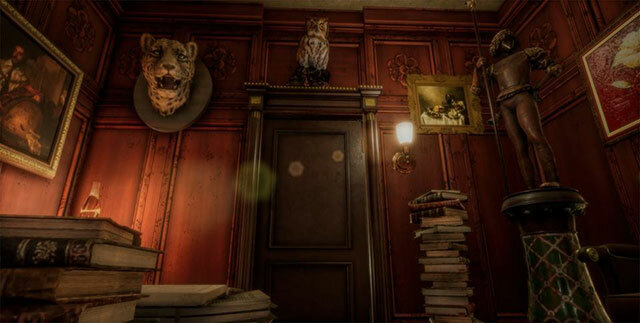 Holmes will be an elaborate maze game in which players will have to search the Murder Castle for evidence of Holmes’ crimes while trying to evade the killer himself. If you’re not careful, you may find yourself Holmes’ next victim as you dodge squeaky floorboards, rooms wired with alarms, and other obstacles. 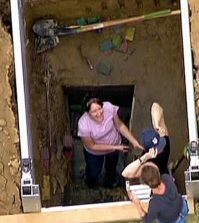 But you can find clues that may help you avoid the basement dissection table. But what if you are terrible at video games like I am? 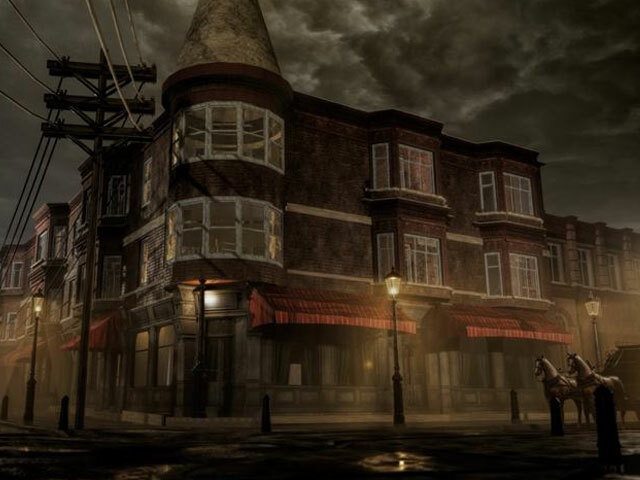 Players will have the option to turn off the game portion and simply explore the Murder Castle. In all it’s gloriously morbid VR glory, of course. The game doesn’t have a release date yet, but Mike plans to have it done and available on Steam before Leonardo DiCaprio and Martin Scorsese’s The Devil in the White City series, adapted from the book by Erik Larson, is released on Hulu. Follow the development of The Horror of H.H. Holmes on the game’s Facebook page.